Although Linux Journal readers might not equate Milwaukee with tech, a new Briggs & Stratton product portends the bright future of smartened "legacy" devices from the industrial heartland. 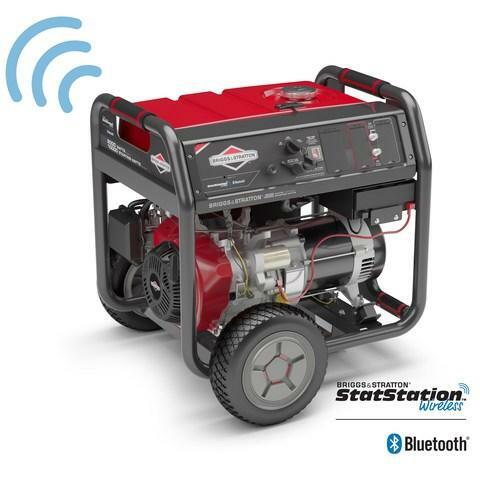 The Wisconsin-based maker of engines and industrial products recently announced a smarter—and "techier"—way to produce on-demand power in the form of the new Briggs & Stratton 8,000 Watt Elite Series Portable Generator with StatStation Wireless, featuring Bluetooth technology. The accompanying StatStation app for Android and iOS, with support from Bluetooth connectivity, provides valuable remote visibility into key metrics, such as fuel level and remaining runtime, runtime meter, percent of available Watt consumption, maintenance reminders, dealer locator, reference guides and how-to videos.